Bombs Away. | | Quiet Lunch. Photo Courtesy of Mr. Porter. 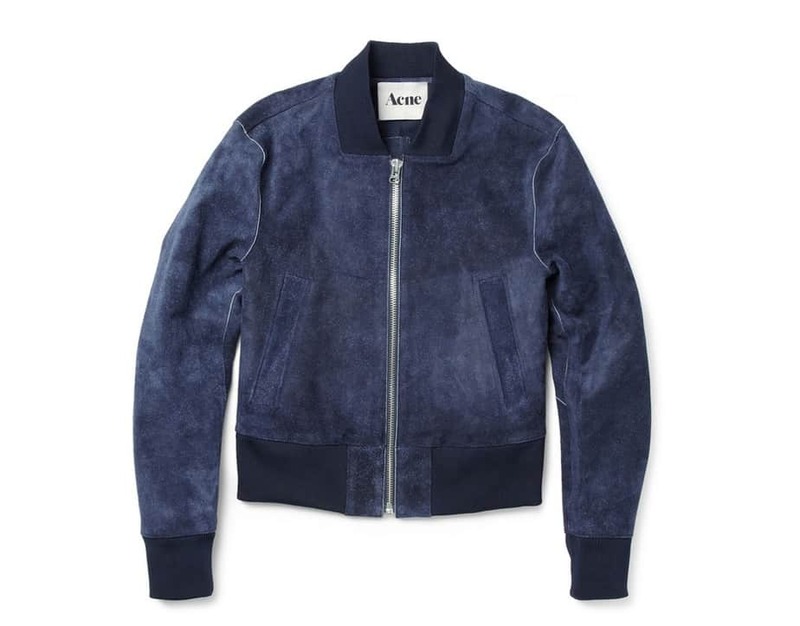 “Crafted from heavyweight suede, this Acne bomber jacket will cut a dash in the city. The deep blue shade is one of our favourites for this season, making this cover-up ideal for layering against navy or teal tones for an accomplished look. The slightly cropped, contemporary design looks best worn with slim-fitting trousers. Shown here with an Acne T-shirt, Incotex trousers and Grenson shoes.” – Mr. Porter.